Two planeswalkers meet. This time not on some unknown world, but in the lair the Nicol Bolas. "There is nothing to discuss," is the obvious answer Nicol Bolas has for Liliana when she comes and tries to claim her end of the bargain. 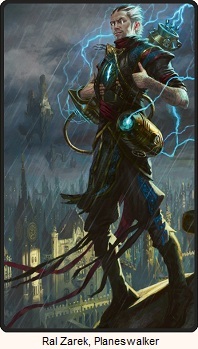 Tezzeret and the Infinite Consortium was now out of his way, that's to his benefit, but that wasn't the deal. She was to deliver someone who could rule it in his name. She tries to argue otherwise, but Nicol Bolas is no fool. He knows he's the only one that can deal with her demon problem. "If I am, indeed, the only one so gifted," Bolas interrupted, "then I suggest you come up with some other way to make yourself useful. Offer me something else worth the trouble you bring me - and make no mistake, a quartet of demons is trouble even for 'great and might' me - and I will make you the same bargain. Or of course... she is pretty gifted herself. He isn't one to turn away such a talented necromancer should she wish to swear her services to him. And with that, the conversation was over. She'd find something he wanted and return, but she was not going to trade one master for another. She leaves, with an open invitation from the dragon to return any time. With his guest taken care of, Nicol Bolas returns to more immediate concerns. He goes further into his cave where a new prized possession of his awaits. He had to hurry before its use was beyond his ability repair. Nicol Bolas bent low over the mangled and mindless body of Tezzeret. "Now, little artificer... What shall we do with you?" 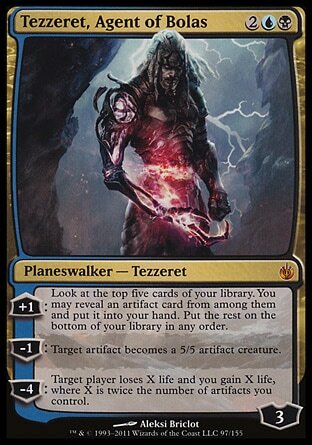 And here we have the origin of Tezzeret, Agent of Bolas . 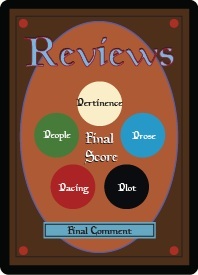 It was definitely the right choice to end the book with Nicol Bolas coming out on top. Jace left with perhaps a too optimistic view of his future. He made an important decision, and he was freed from his troubles, but it wasn't a true end. Here we have someone who actually got something he wanted. Someone who knows who he is, and has acquired something he sees great potential in to fulfill his grand ambitions. 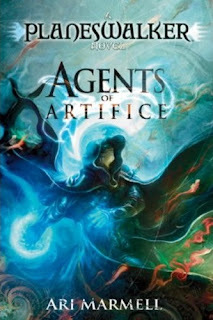 I've finished a few hours reading the book, did not think it deserves the notes you made ​​in comparison to the book of Alara, was well below my expectations, I read so many points drawn. Now I'm reading my new book of Song of Ice and Fire by George R. R. Martin and I will postpone The Purifying Fire and Test of Metal.